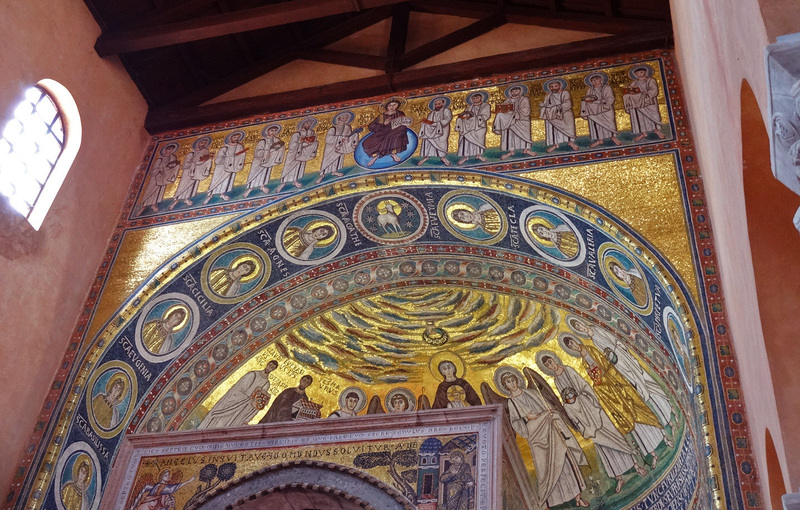 Magical, mystical, mosaical: the episcopal complex in Poreč. Cast away by Slovenian storms in the first week of our summer trip, we found refuge in the sunny but touristy peninsula of Croatian Istria. We were lucky in finding a suitable campsite on our second attempt already. We set up tent under some pine trees near Rovinj, still our favourite spot in the area. We did leave the peace and quiet in Slovenia, but that was replaced by the pleasant bustle of crowded narrow alleys, full tables at seafood-scented restaurants and the inevitable collection of shops selling everything from cuddly Minions to Smurfs-coloured icecream. We enjoyed roaming the alleys for their architectural beauty and cosy atmosphere, but the crowds were a bit much at times. Febe enjoyed the colourful shop-windows and the icecream, of course… There are ways to avoid the crowds, though, as we found out when we visited Rovinj on one morning, before 10:00 AM. That’s the absolute advantage of camping: you live by the rythm of the sun and, thus, wake up at sunrise. It was already quite late (i.e. after 10:00 AM) when we arrived at Poreč, though. There are several huge car parcs near the city centre, but they were already quite full and there were pretty long queus at the ticket machines. 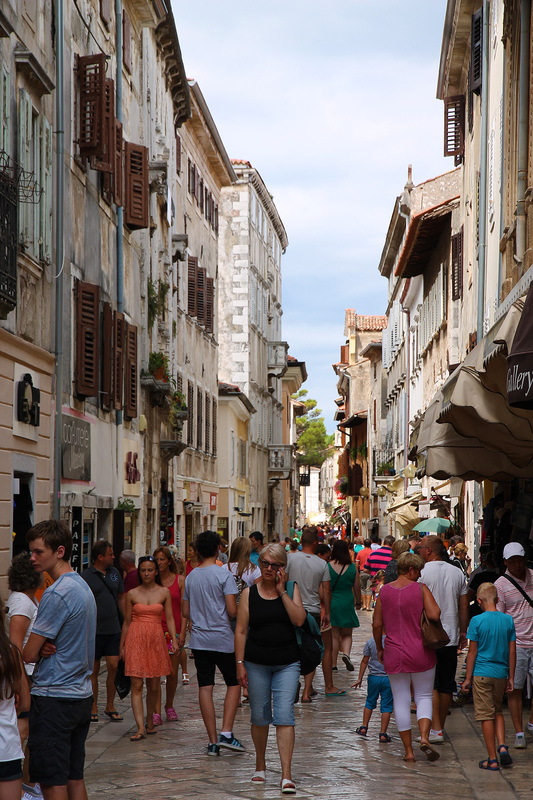 Maybe as a result of these annoyances, our first impression wasn’t really positive: very crowded, rather dull architecture and a shortage in those narrow alleyways we liked so much in Rovinj. 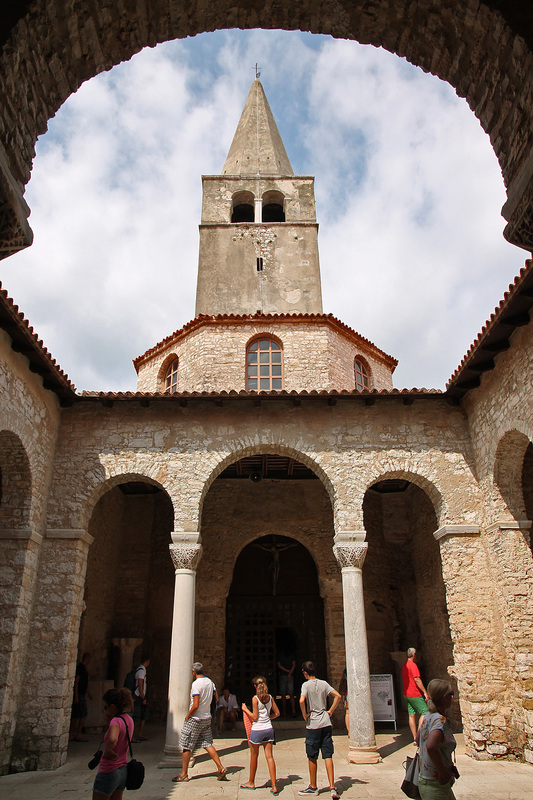 As we ventured deeper inside the city centre, though, that changed gradually until Poreč finally presented to us its crown jewel: the Euphrasian Basilica. At the end of a narrow street (yes, they do exist in Poreč! 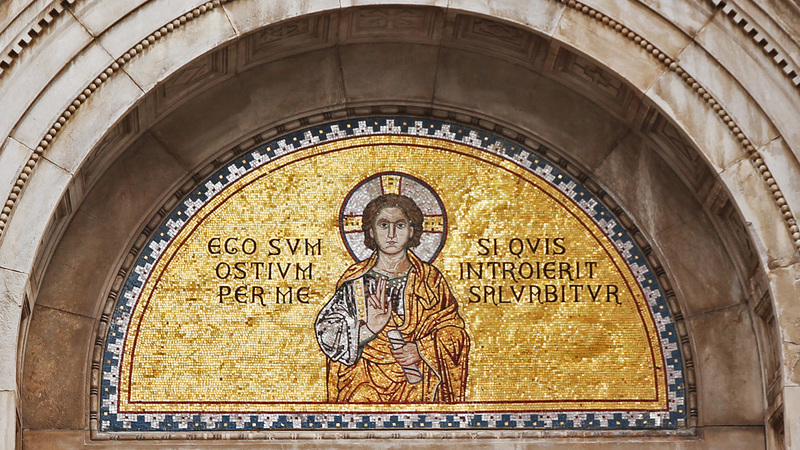 ), we spotted the arched entrance gate, decorated with a gold-coloured mosaic with the inscription: “ego sum ostium per me si quis introierit salvabitur et ingredietur et egredietur et pascua inveniet “. 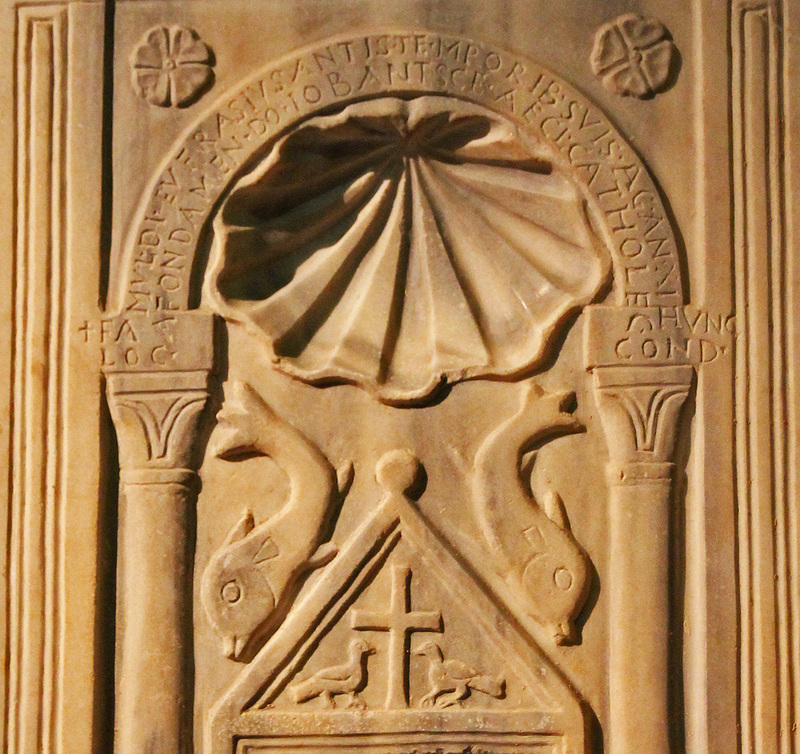 It’s a text from the gospel of St. John, saying: “I am the door; he who enters will be saved”. And there you have it: one of the reasons you have to visit this site: it will save you from damnation! “He who enters will be saved.”. Despite the colourful mosaic on its arch, the entrance door of the basilica is rather austere and by no means gives away the splendour of the buildings behind it. Following a paved passage between rough walls, you’ll pass a modest chapel (if the crowds are a bit too much: the perfect place to enjoy some silence) and the ticket office on your right, before entering the colonnaded atrium between the basilica and the baptistery. This is the most popular spot to take photos of the basilica and the bell tower. Under its porticos, you will find all kinds of stone relics. Before going on: just some short history lesson. 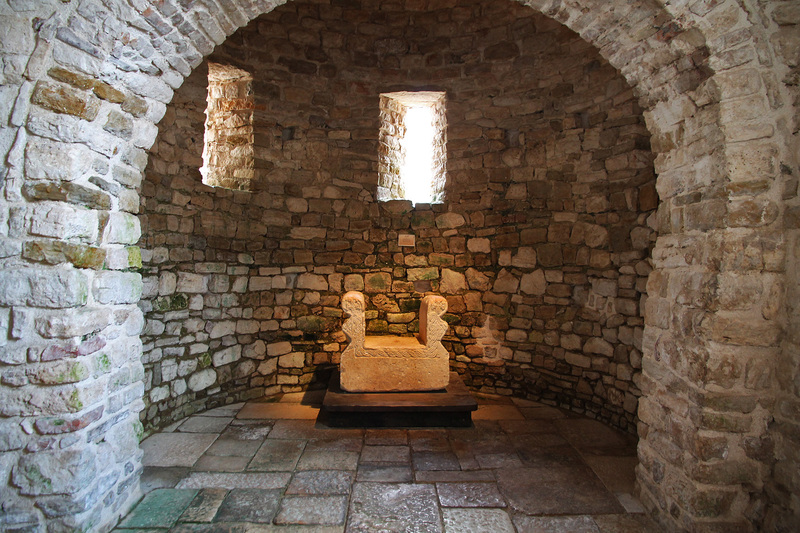 In the 4th century, the first Christians gathered here in the simple oratory of a large Roman house. It contained the bones of a local martyr named Maurus. Two centuries and some restorations and enlargements later, bishop Euphrasius ordered a much more impressive church to be built on this location. It was during that building process that the atrium, baptistery, memorial chapel and episcopal palace were also constructed. All these buildings were richly decorated with lavish, Byzantine ornamentation, of which especially the mosaics are superb: they are considered some of the best examples of their style. The conspicuous bell tower, a point of reference in the city, was added in the 16th century. Atrium, baptistery and the bell tower: view from the cathedral’s side. Mosaic on the outer wall of the cathedral, as seen from the atrium. From the atrium, arrows clearly indicate which direction to follow to the other parts of the complex. First, we entered the octagonal baptistery with its symmetrical, wooden ceiling. From here, it’s possible to go up to the top of the bell tower for a superb view of the city’s roofs and the Adriatic Sea. 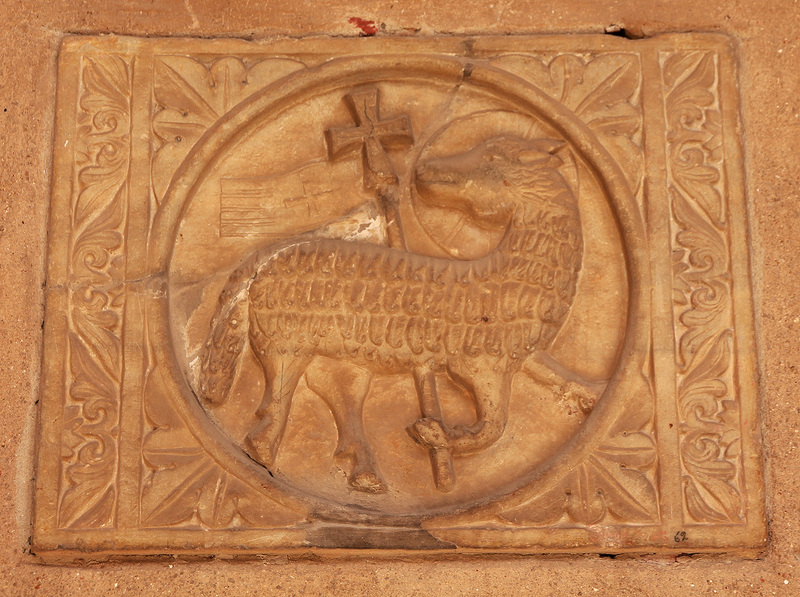 Half-relief of the lamb of God (Agnus Dei) in the atrium wall. 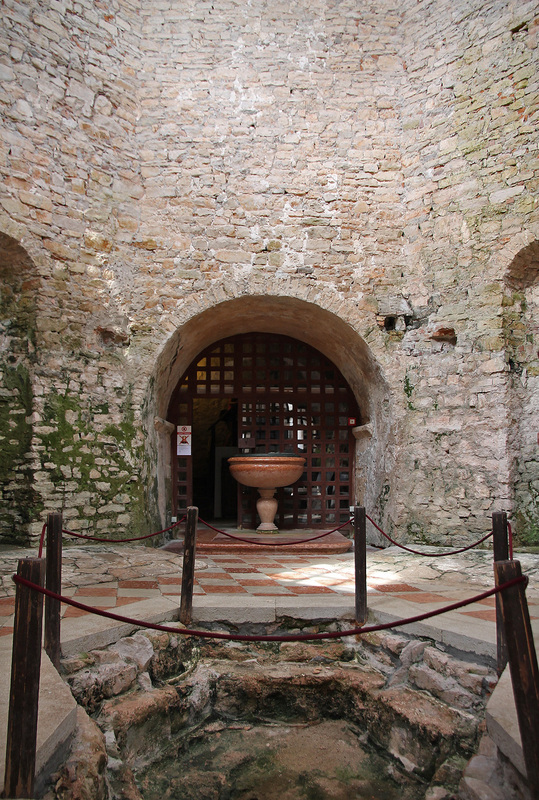 The baptistery. The gate leads to the bell tower. 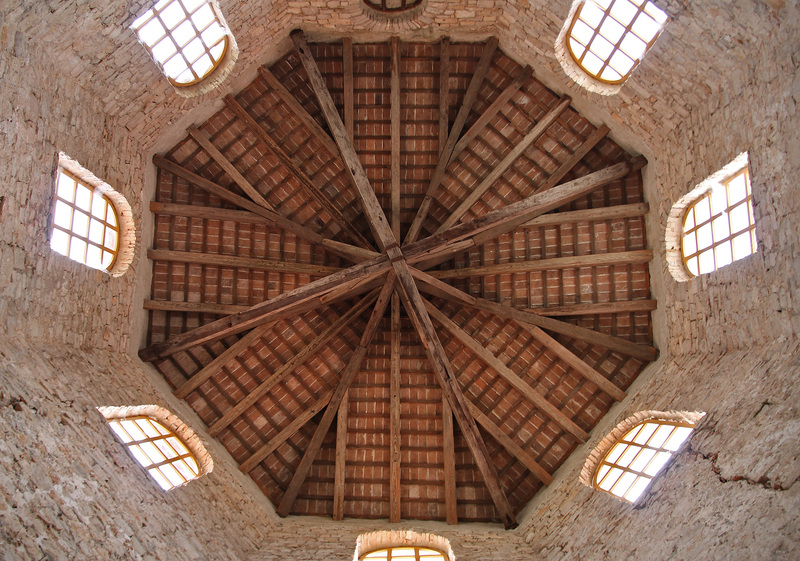 The wooden roof of the baptistery. Next stop: the bishop’s palace, nowadays a museum that has a fine collection of religious art, including antique wooden crucifixes and statues. Personally, I didn’t think it was very impressive, although it was definitely very different from the other parts of the complex. If you’re a fan of sacred art, a must-do! 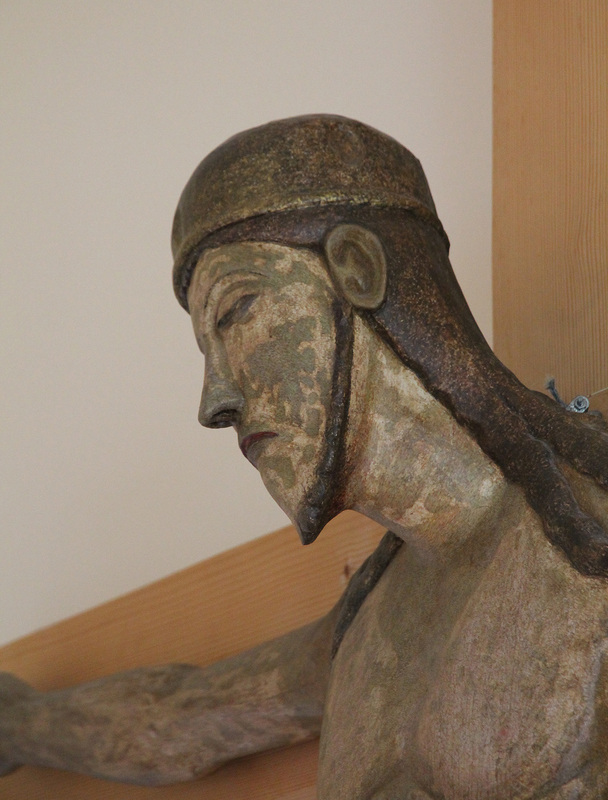 From one of the rooms you also have a very good view over the 4th-century floor mosaic of the Maurus oratory. 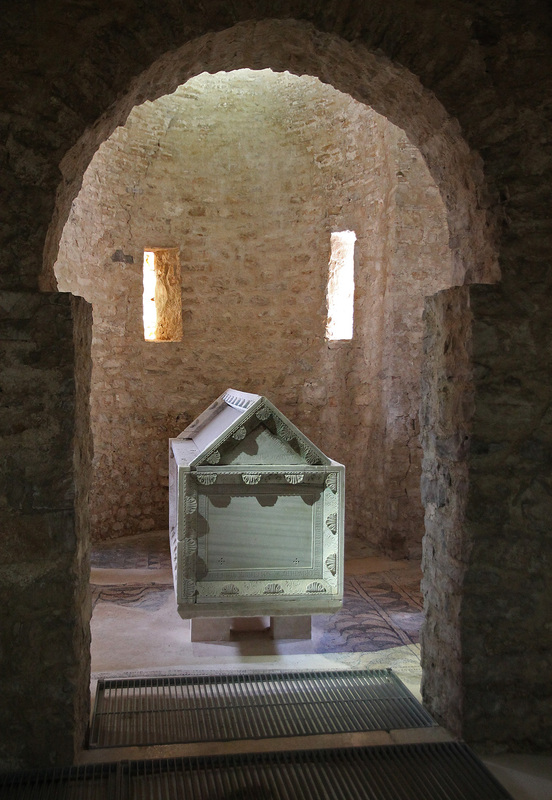 Associated with the episcopal palace, there is an impressive collection of Roman mosaics, tombstones and other stone relics from the oldest construction phase of the church. I’ve seen quite a bit of mosaics in my life, but this is really top-class material. Especially the degree of detail and use of curved, flower-like forms is pretty impressive! 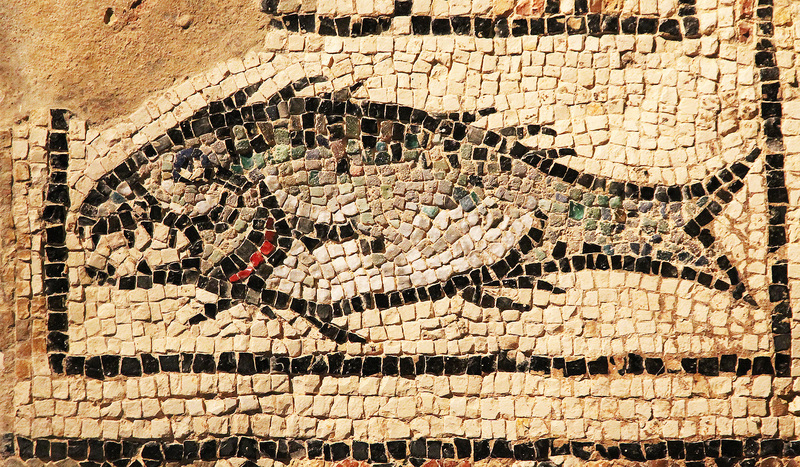 Look out for the fish mosaic, a fine piece of mosaic art indeed! 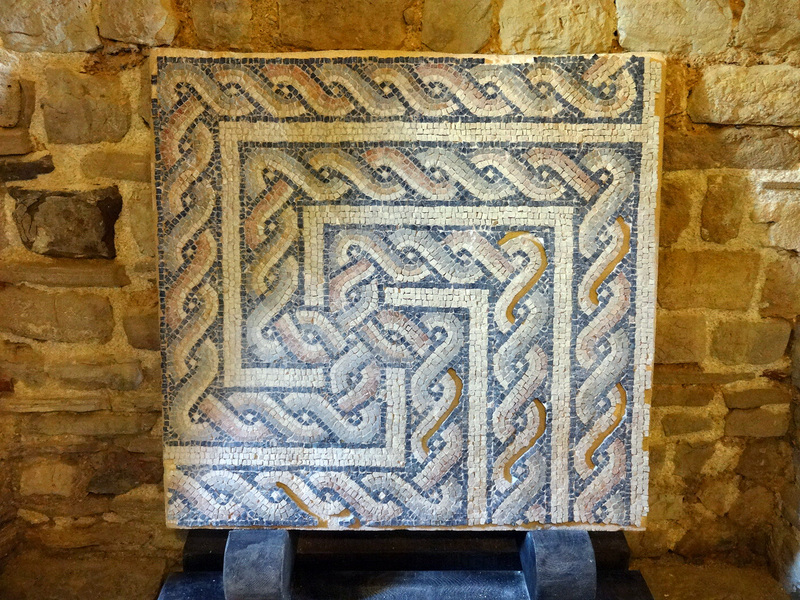 Follow the path outside to walk past the Maurus oratory floor mosaic. 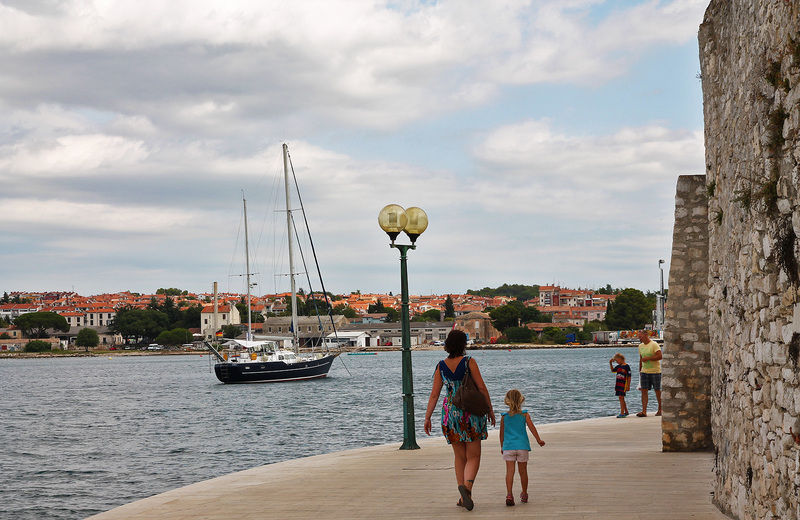 The city wall offers beautiful views over the nearby Adriatic. The impressive Maurus oratory floor mosaic. Detail of an altarpiece from the time of bishop Euphrasius. A fine example of mosaic art. The final part of the tour took us back to the cathedral, passing through the votive chapel, next to the sacristy, which holds the relics of Saint Maurus and Saint Eleutherius. 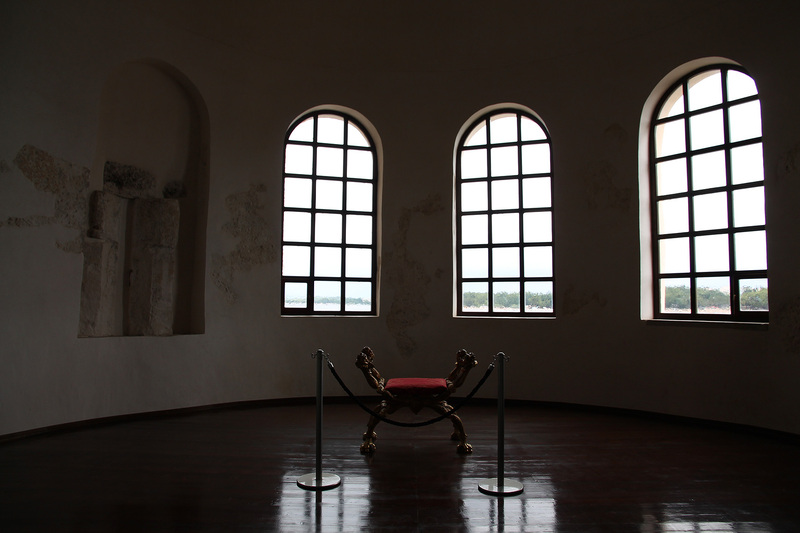 Here, you can also see a 6th-century floor and fragments of frescoes. 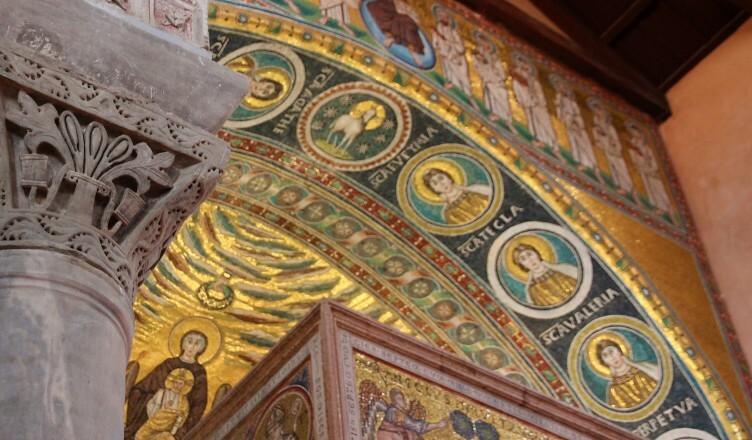 Finally, we arrived at the cathedral’s interior, with its impressive apse mosaics. The saints seem to look down upon the mortals below and the awesome ciborium (= the canopy above the altar, supported by columns). 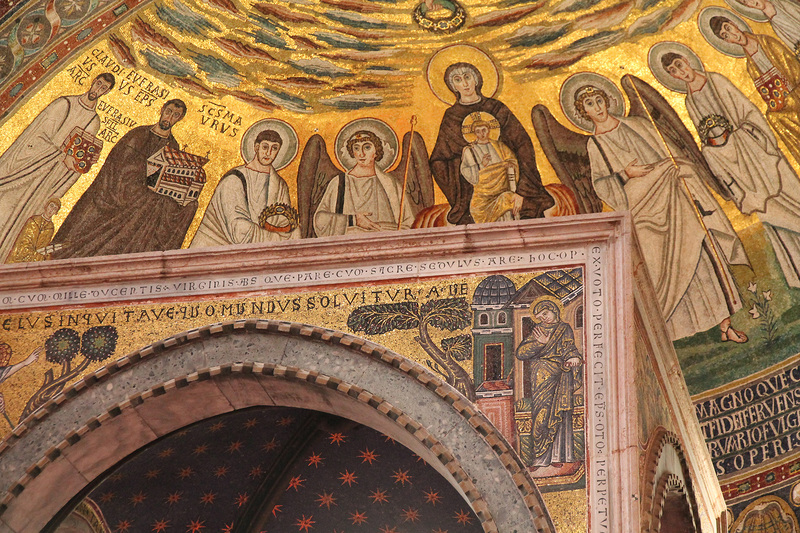 Christ and his apostles are featured on the upper part of the apse. Mother Mary, her child and a collection of saints are depicted below these figures. One of these saints is St. Euphrasius himself, holding a model of the church (second from left). St. Maurus is the person shown third from left. Sarcophagus in the memorial chapel. The magnificent interior of the Euphrasian Basilica. Christ and two saints: a reoccurring theme in the side apses. The apse in all its glory. Top of the ciborium with mother Mary and her child. St Euphrasius is the second from left. In retrospect, I am sure the city has much more to offer than what we have seen, but it is beyond doubt that the Euphrasian basilica complex is by far its highlight and a 100% must-see. It’s unique in its organisation, history and artistical beauty. 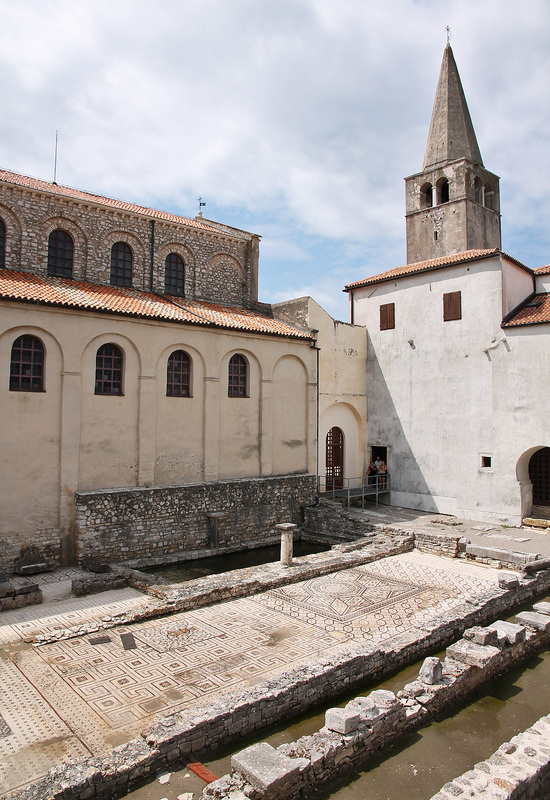 Originally a 4th-century, Roman oratory, the group of monuments in the historic centre of Poreč has developed into the most integrally preserved early Christian cathedral complex of the region. It consists of a basilica, an atrium, a baptistery, a small memorial chapel and an episcopal palace, all well-preserved and richly ornamented, e.g. with mosaics. More recent structures (Kanonika, bell tower, a sacristy and 2 chapels) have been added to this property. 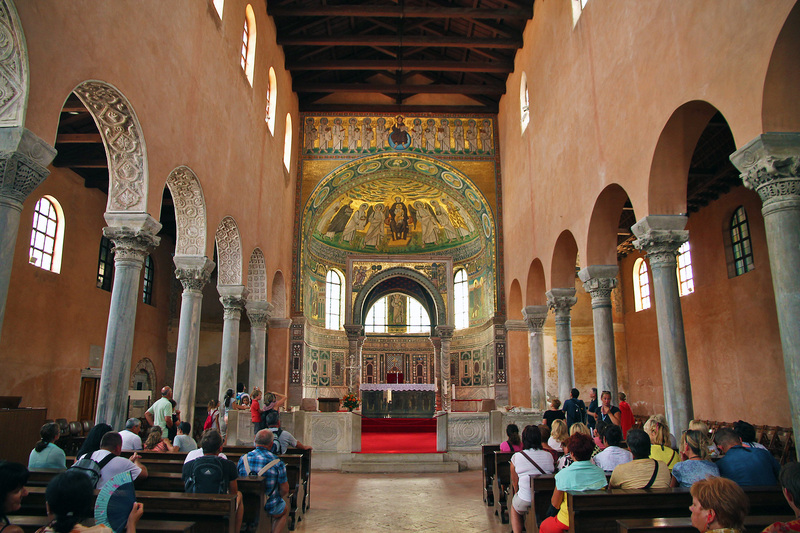 The basilica of Euphrasius, dating from the 5th and 6th century, combines both classical and Byzantine elements. The entire complex is one of the best examples of early Byzantine architecture in the Mediterranean region.